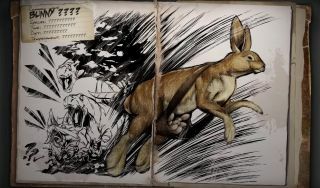 The latest festive event includes collectible Bunny Eggs, suitably huge, that can be painted or crafted into Easter-themed items like Bunny Ears or a Bunny Costume for the Procoptodon. But it won't be all sugar-coated fun and games: The ferocious Bunny-Dodorex will be hopping around Ark all week long, and he's apparently not someone you want to meet. The latest Ark update also adds the new Swamp and Snow Caves areas, containing “high-end loot, advanced artifacts, and more clues towards the mysterious origins of the Ark.” You may not want to rush into them headlong, however, as the developers warned that they're intended for high-level survivors. The Ark: Survival Evolved Eggcellent Adventure is live now and runs for a week.